Hours after IDF forces demolish home of terrorist who murdered Ronen Lubarsky, PA chairman orders that it be rebuilt. Palestinian Authority (PA) chairman Mahmoud Abbas has ordered the rebuilding of the home of the terrorist who murdered Ronen Lubarsky, senior PA official Hussein al-Sheikh said Saturday in an interview with PA television. Al-Sheikh was quoted by Channel 10 News as saying, "Abu Mazen is closely following recent events in the West Bank and he is holding numerous discussions with regional and international elements to stop the tension. He ordered the immediate rebuilding of the house of the Abu Hamid family, which was blown up this morning in the al-'Amari refugee camp." Al-Sheikh added that Abbas is expected to meet with King Abdullah of Jordan in Amman on Sunday to discuss the latest developments. Overnight Friday, the IDF demolished the home of the terrorist, Islam Yousef Abu Hamid. In June, Israeli security forces located and arrested the 32-year-old terrorist, two weeks after he dropped a block from a three-story building in al-Amari on the head of the 20-year-old Lubarsky. 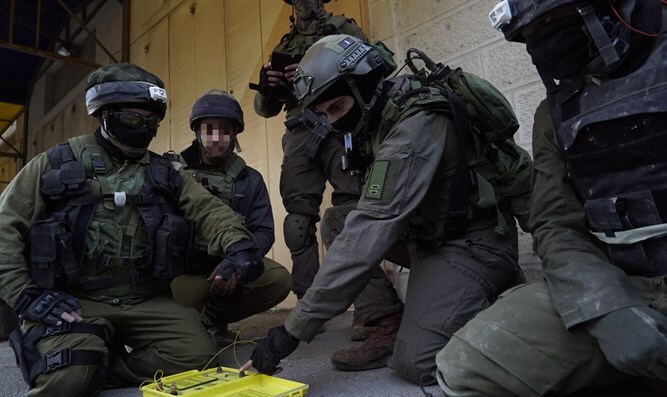 Lubarsky, a member of the elite Duvdevan special operations unit, had been deployed to al-Amari to secure the area while Israeli security forces carried out the arrest of a wanted terrorist. He was taken to hospital and later died of his injuries. In August, a demolition order was issued for the entire four-story building where the terrorist had resided prior to the terror attack which killed Lubarsky. The terrorist’s family appealed to the Supreme Court against the demolition order, but the Court last week rejected the appeal.